No Matter Who You Are, Rejection Is Inevitable. Rejection is even more likely as you start to pursue goals and dreams that really matter to you. 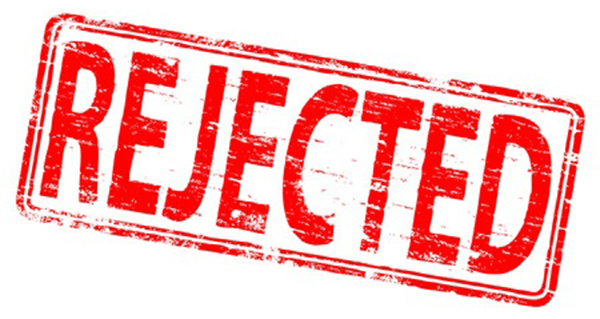 When you take an active stance towards your life, when you get out of the bleachers and onto the field, rejection can become a regular occurrence. But we don’t like rejection. It feels painful, uncomfortable, and embarrassing. We tend to conclude it means something bad about us, that we did something terribly wrong. We often think: If only I were smarter, quicker, or somehow better, then I could have prevented this rejection. This mindset assumes you should never be rejected, and if you are it means you’re somehow inadequate. In order to create the success and confidence you truly deserve, you must learn how to handle rejection. If someone rejects me, it means I’m bad, not good enough, and not worthy. In order to handle rejection more effectively you must change this formula, you must change what rejection means. What else could rejection mean? It could mean you weren’t that person’s preference, you aren’t a good fit for that group, the other person is upset or hurting and in a bad mood. The key is to stop immediately swallowing the “rejection mean’s I’m a loser” pill and to start actively seeking alternative meanings that don’t involve personalizing. When you’re really interested in someone and they don’t want to go out with you, or when you really want a job and you don’t get it, it’s painful. When you really want something and you’re rejected, you’ll most likely experience a strong feeling of disappointment. The key to handling rejection well is realizing this feeling is natural and healthy. Of course you’re disappointed – that person, job, or goal really matters to you! Give yourself the space to really feel the disappointment. Feel the sinking or heaviness in your chest or stomach. Feel the internal resistance to being rejected. Feel the sadness or tears behind your eyes. The more you can simply feel the emotion without going into a story about why you weren’t good enough, the more quickly it will pass through you. This disappointment can serve to remind you how meaningful it is to you to meet a partner or find your ideal job. It can also serve to strengthen and fuel you to pursue your dreams with a new passion and vigor. 3. Don’t Give Up Prematurely! For most people, the first response to even a hint of rejection is to give up. This happens because we can so quickly go to that place of I knew I wasn’t good enough, why am I even trying this? Rejection does not mean you’re inadequate. All it means is right now the person is saying no. Rather than hastily throwing in the towel, see this is a temporary setback. Tap into your motivation, desire, drive, and passion for pursuing whatever it is you’re pursuing. Why do I want this? Why does it matter to me? Am I willing to do whatever it takes to get there?? From this place, try again. Ask questions. Tell the person what you want. See if you can convince them. If it’s a final “no”, then try again with another person, another job. So often we can get fixated on one particular person or situation, and forget there are many ways to reach our goals. Develop a persistence and an unreasonable unwillingness to give up. To learn more about how to handle rejection, check out the free eBook – 5 Steps To Unleash Your Inner Confidence.